Synopsis: You’re driving along a lonely outback road when suddenly a kangaroo leaps out in front of you. Your car is wrecked and then things rapidly go downhill from there as you find yourself under attack from a pack of wild dogs. Having survived that, you cross bloody paths with a pair of violent criminals who’ve murdered two people on a remote Aboriginal community. And then things go REALLY pear-shaped as you find yourself caught up on a rollercoaster of bloody revenge that takes you to the other side of the globe and to the edge of madness. Sorry Time is a breakneck story that offers a rich and entertaining reading experience, and will travel well to film. You'll meet a cast of memorable characters like Glen of the Outback, who claims to be the man in the orange T-shirt in a David Bowie clip, and rat-faced mortuary attendant Mal Kite, who runs a profitable sideline stealing valuables from bodies. And last but not least, the villain of the piece, Ali Fazir, a meth addict with a penchant for beheading. The story is steeped in an ominous, occult sub-current as Dreamtime spirits lash out after the removal of a fabulous opal from an Aboriginal burial ground. 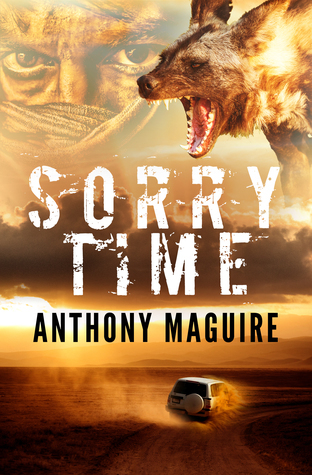 Review: A heart-stopping thriller set in the remote indigenous Australian outback, Sorry Time is an absolutely amazing tale woven by a master storyteller. You'll find yourself waiting with bated breath as enemies both flesh and spiritual lash out at the intrepid heroes of this thrilling book.